From Seattle, Washington, Rik Wright’s group has become one of the premier contemporary jazz groups on the West coast. The group varies between a trio and sextet with instrumentation that seeks to move away from classical jazz roles. All the music is original work, yet it could fall into several sub genres of jazz. While the grooves are very funk- and rock-driven the solo work harkens back to the 1960s and 70s avante garde movement. The inclusion of Alicia Allen’s violin and Wright’s solo work adds some folk music flavor to the music as well. All in all, the sound of the group is very unique and intriguing to listen to. The first three tracks are actually from a live acoustic set in the Jack Straw Productions studio. “Boogie for Buddha” is a chill, funky chart with solo work by James DeJoie, Wright and Allen. “Forget Nothing” is a slow-feel, abstract piece, with some interesting bass lines Walter White. The trio layers sounds beautifully, creating rich chords and covering up the fact that there is no drummer. “Sunrise Pixels” begins with a beautiful, plaintive violin solo by Allen, who is then joined by DeJoie on a tenor sax. The piece is very majestic and although it is arranged in the classic ballad form, each musician’s component is unique. Drummer Simon Grant chooses his moments of input carefully, and sometimes finds it best to say nothing at all, which suits this piece perfectly. The rest of the tracks are more abstract and free, with surprisingly less arrangement than those from the live session. “Hatha” has some nice work by DeJoie on tenor again. “Hummingbirds Don’t Sing” is an interesting romp through half diminished chord progressions, with Allen’s violin driving the anguished sound. Wright provides undertones while James Whiton’s bass lines give the music a sense of angst. He even does some bowing work. The title track, “Even Odds”, starts as another ballad featuring DeJoie in duet with Wright. About halfway through, however, the groove changes abruptly to a double time swing. DeJoie complies with a tasteful solo that eventually winds back down to the ballad feel. 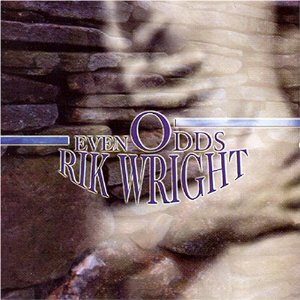 On “Even Odds”, Rik Wright has managed to craft a CD that focuses on the richness of melody, composition, instrumentation and arranging rather than acts of guitar wizardry and production. This is definitely a group worth checking out.